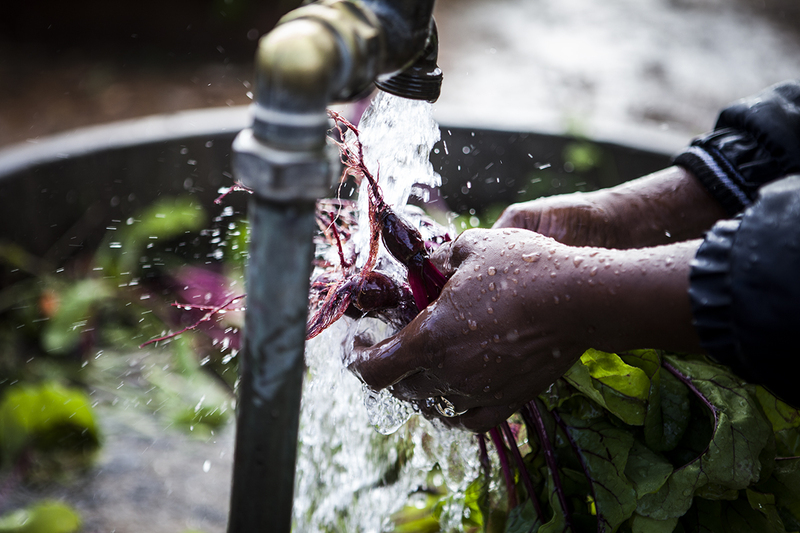 In the old days, beetroot was quite ordinary – cooked and served as a salad with sweet vinegar, or commercially pickled, causing everything else on the plate to turn red. Nowadays, however, the humble beetroot has reinvented itself. It’s trendy for good reason: its health benefits are numerous, and its versatility makes it ideal for use in all types of cuisine. This is a two-in-one vegetable because the young leaves can be steamed or boiled – they have the taste and texture of spinach. Preheat the oven to 175°C. Use 4–8 red washed beets and wrap the stems tightly with aluminium foil. Place in an ovenproof dish and cover the beetroots with 2 kg coarse salt. Sprinkle the salt with 150 ml water. Bake for 45–60 minutes and remove to cool down. Grate 20 ml fresh horseradish and combine with 200 ml crème fraîche. Divide into 4 bowls. Use 4 plates and divide the cooked warm beetroot onto the plates. Some of the salt may stick to the beetroot. Slice 4 fresh candy stripe beetroots thinly and add one to each plate. Add a bowl of horseradish to each plate and garnish with fresh horseradish ribbons. 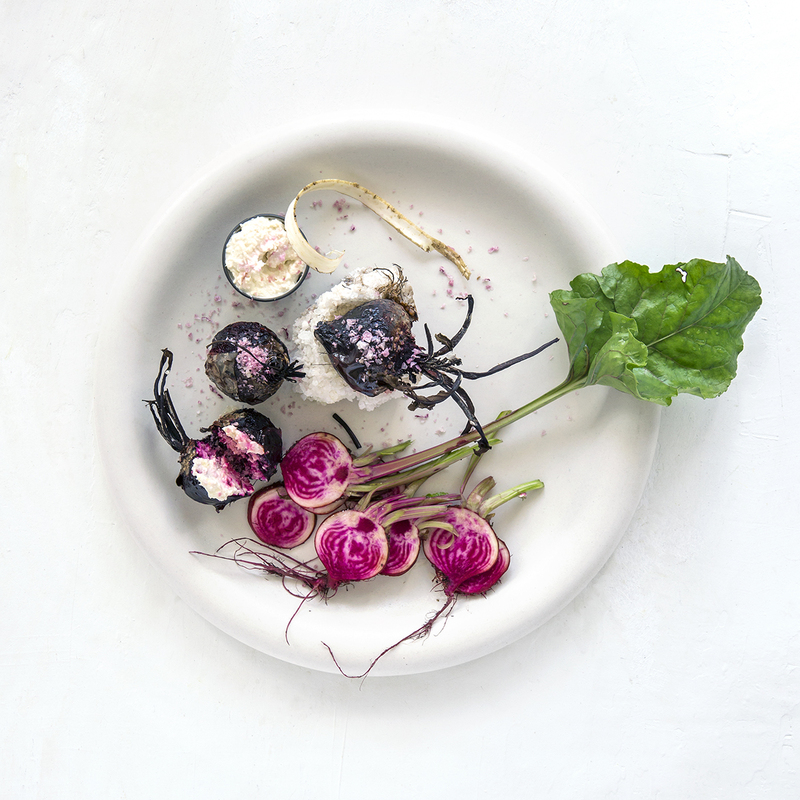 Sprinkle with Babylonstoren beetroot salt.